This is “The Globalization of Business”, section 3.1 from the book An Introduction to Business (v. 1.0). For details on it (including licensing), click here. Why does the United States import automobiles, steel, digital phones, and apparel from other countries? Why don’t we just make them ourselves? Why do other countries buy wheat, chemicals, machinery, and consulting services from us? Because no national economy produces all the goods and services that its people need. Countries are importers when they buy goods and services from other countries; when they sell products to other nations, they’re exporters. (We’ll discuss importing and exporting in greater detail later in the chapter.) The monetary value of international trade is enormous. In 2007, the total value of worldwide trade in merchandise and commercial services was $16.8 trillion.World Trade Organization, press release, “WTO: developing, transition economies cushion trade slowdown,” April 17, 2008 (accessed November 1, 2008). A nation has an absolute advantageCondition whereby a country is the only source of a product or is able to make more of a product using the same or fewer resources than other countries. if (1) it’s the only source of a particular product or (2) it can make more of a product using the same amount of or fewer resources than other countries. Because of climate and soil conditions, for example, Brazil has an absolute advantage in coffee beans and France has an absolute advantage in wine production. Unless, however, an absolute advantage is based on some limited natural resource, it seldom lasts. That’s why there are few examples of absolute advantage in the world today. Even France’s dominance of worldwide wine production, for example, is being challenged by growing wine industries in Italy, Spain, and the United States. How can we predict, for any given country, which products will be made and sold at home, which will be imported, and which will be exported? This question can be answered by looking at the concept of comparative advantageCondition whereby one nation is able to produce a product at a lower opportunity cost compared to another nation., which exists when a country can produce a product at a lower opportunity cost compared to another nation. But what’s an opportunity cost? Opportunity costs are the products that a country must decline to make in order to produce something else. When a country decides to specialize in a particular product, it must sacrifice the production of another product. 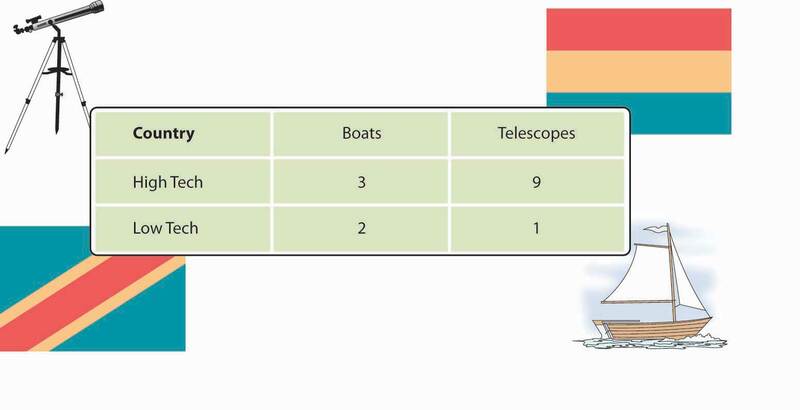 High Tech makes, for example, three more boats but gives up the opportunity to make the nine telescopes; thus the opportunity cost of making each boat is three telescopes (9 ÷ 3 = 3). Low Tech makes, for example, two more boats but gives up the opportunity to make one telescope; thus the opportunity cost of making each boat is half a telescope (1 ÷ 2 = 1/2). Low Tech, therefore, enjoys a lower opportunity cost: Because it must give up less to make the extra boats, it has a comparative advantage for boats. And because it’s better—that is, more efficient—at making boats than at making telescopes, it should specialize in boat making. High Tech makes, for example, nine more telescopes but gives up the opportunity to make three boats; thus, the opportunity cost of making each telescope is one third of a boat (3 ÷ 9 = 1/3). Low Tech makes, for example, one more telescope but gives up the opportunity to make two boats; thus, the opportunity cost of making each telescope is two boats (2 ÷ 1 = 2). In this case, High Tech has the lower opportunity cost: Because it had to give up less to make the extra telescopes, it enjoys a comparative advantage for telescopes. And because it’s better—more efficient—at making telescopes than at making boats, it should specialize in telescope making. 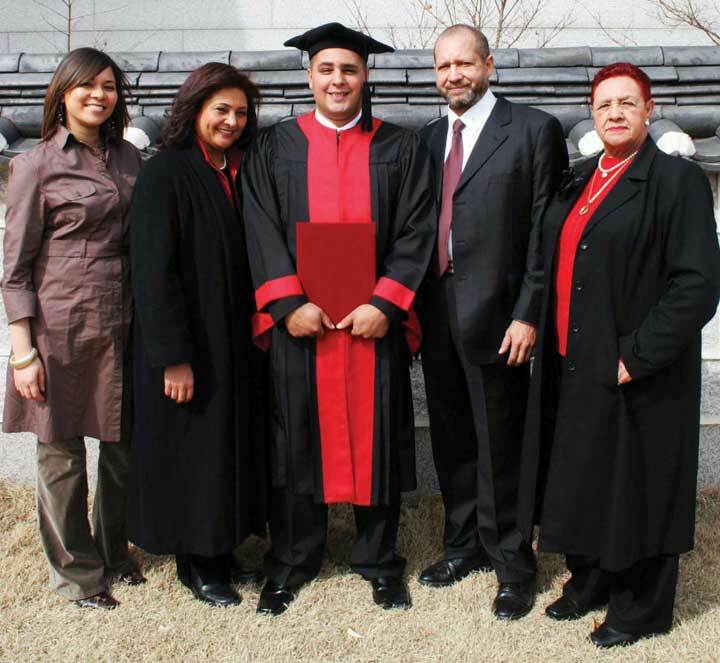 Many people study in the United States, to take advantage of one of the world’s premier education systems. To evaluate the nature and consequences of its international trade, a nation looks at two key indicators. We determine a country’s balance of tradeDifference between the value of a nation’s imports and its exports during a specified period. by subtracting the value of its imports from the value of its exports. If a country sells more products than it buys, it has a favorable balance, called a trade surplusCondition whereby a country sells more products than it buys, resulting in a favorable trade balance.. If it buys more than it sells, it has an unfavorable balance, or a trade deficitCondition whereby a country buys more products than it sells, resulting in an unfavorable trade balance..
For many years, the United States has had a trade deficit: we buy far more goods from the rest of the world than we sell overseas. This fact shouldn’t be surprising. With high income levels, we not only consume a sizable portion of our own domestically produced goods but enthusiastically buy imported goods. Other countries, such as China and Taiwan, which manufacture primarily for export, have large trade surpluses because they sell far more goods overseas than they buy. Are trade deficits a bad thing? Not necessarily. They can be positive if a country’s economy is strong enough both to keep growing and to generate the jobs and incomes that permit its citizens to buy the best the world has to offer. That was certainly the case in the United States in the 1990s. Some experts, however, are alarmed at our rapidly accelerating trade deficit. Investment guru Warren Buffet, for example, cautions that no country can continuously sustain large and burgeoning trade deficits. Why not? Because creditor nations will eventually stop taking IOUs from debtor nations, and when that happens, the national spending spree will have to cease. “Our national credit card,” he warns, “allows us to charge truly breathtaking amounts. But that card’s credit line is not limitless.”Warren E. Buffet, “Why I’m Not Buying the U.S. Dollar,” Wall Street Week with Fortune, http://www.pbs.org/wsw/news/fortunearticle_20031026_03.html (accessed May 25, 2006). By the same token, trade surpluses aren’t necessarily good for a nation’s consumers. Japan’s export-fueled economy produced high economic growth in the 1970s and 1980s. But most domestically made consumer goods were priced at artificially high levels inside Japan itself—so high, in fact, that many Japanese traveled overseas to buy the electronics and other high-quality goods on which Japanese trade was dependent. CD players and televisions were significantly cheaper in Honolulu or Los Angeles than in Tokyo. How did this situation come about? Though Japan manufactures a variety of goods, many of them are made for export. To secure shares in international markets, Japan prices its exported goods competitively. Inside Japan, because competition is limited, producers can put artificially high prices on Japanese-made goods. Due to a number of factors (high demand for a limited supply of imported goods, high shipping and distribution costs, and other costs incurred by importers in a nation that tends to protect its own industries), imported goods are also expensive.“Why Are Prices in Japan So Damn High?” The Japan FAQ, http://www.geocities.com/japanfaq/FAQ-Prices.html (accessed May 25, 2006). The second key measure of the effectiveness of international trade is balance of paymentsDifference between the total flow of money coming into a country and the total flow of money going out. : the difference, over a period of time, between the total flow of money coming into a country and the total flow of money going out. As in its balance of trade, the biggest factor in a country’s balance of payments is the money that comes in and goes out as a result of imports and exports. But balance of payments includes other cash inflows and outflows, such as cash received from or paid for foreign investment, loans, tourism, military expenditures, and foreign aid. For example, if a U.S. company buys some real estate in a foreign country, that investment counts in the U.S. balance of payments, but not in its balance of trade, which measures only import and export transactions. In the long run, having an unfavorable balance of payments can negatively affect the stability of a country’s currency. Some observers are worried about the U.S. dollar, which has undergone an accelerating pattern of unfavorable balances of payments since the 1970s. For one thing, carrying negative balances has forced the United States to cover its debt by borrowing from other countries.Warren E. Buffet, “Why I’m Not Buying the U.S. Dollar,” Wall Street Week with Fortune, http://www.pbs.org/wsw/news/fortunearticle_20031026_03.html (accessed May 25, 2006). 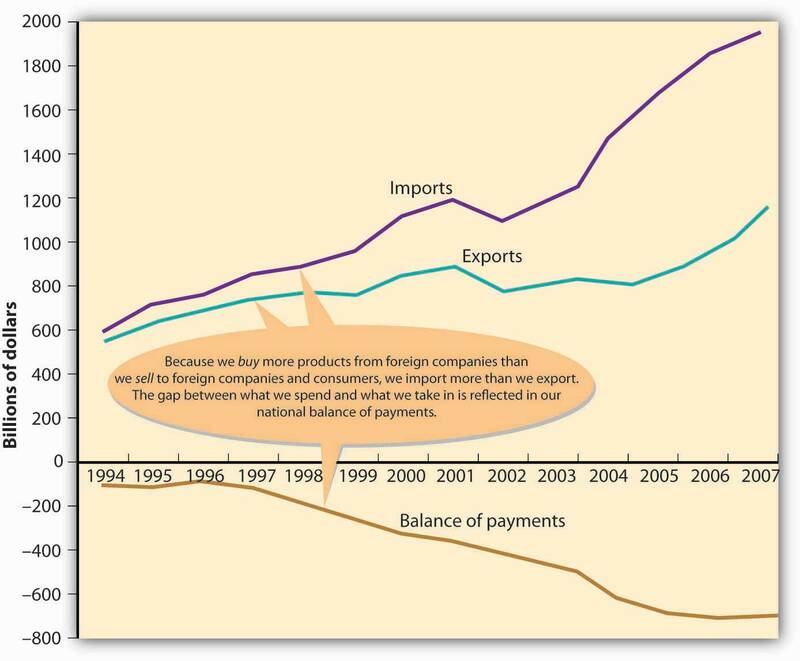 Figure 3.5 "U.S. Imports, Exports, and Balance of Payments, 1994–2007" provides a brief historical overview to illustrate the relationship between the United States’ balance of trade and its balance of payments. Nations trade because they don’t produce all the products that their inhabitants need. They import those that they need but don’t produce and export those that are needed elsewhere. To understand why certain countries import or export certain products, you need to realize that not all countries are good at producing or are able to produce the same products. The cost of labor, the availability of natural resources, and the level of know-how vary greatly around the world. To explain how countries decide what products to import and export, economists use the concepts of absolute and comparative advantage. A nation has an absolute advantage if it’s the only source of a particular product or can make more of a product with the same amount of or fewer resources than other countries. A comparative advantage exists when a country can produce a product at a lower opportunity cost than other nations. Nations trade to exploit their advantages: they benefit from specialization, focusing on what they do best and trading the output to other countries for what they do best. To evaluate the impact of its international trade, a nation looks at two key indicators: balance of trade and balance of payments. We determine a country’s balance of trade by subtracting the value of its imports from the value of its exports. If a country sells more products than it buys, it has a favorable balance, called a trade surplus. 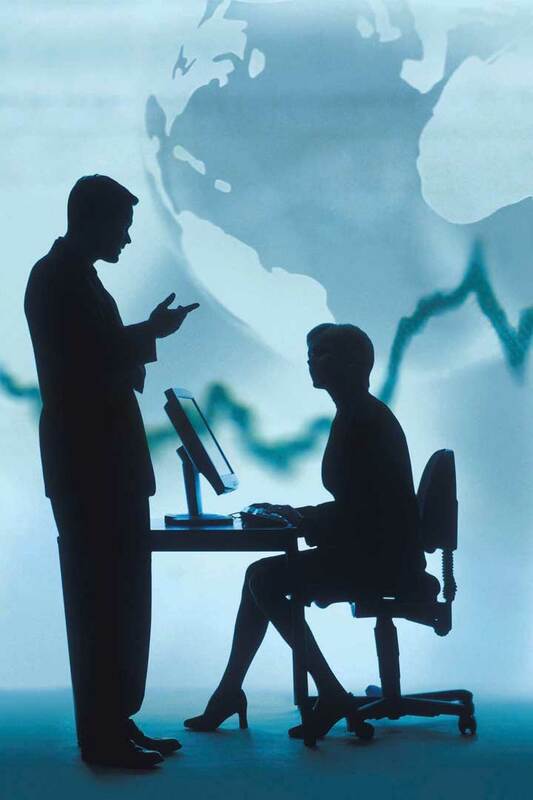 If it buys more than it sells, it has an unfavorable balance, or a trade deficit. The balance of payments is the difference, over a period of time, between the total flow coming into a country and the total flow going out. As in its balance of trade, the biggest factor in a country’s balance of payments is the money that comes in and goes out as a result of exports and imports. But balance of payments includes other cash inflows and outflows, such as cash received from or paid for foreign investment, loans, tourism, military expenditures, and foreign aid. Does either John or Jennifer have an absolute advantage in (1) writing reports and/or (2) preparing presentations? Based on your analysis, how would you recommend that John and Jennifer divide the work? Given your answer to the previous question, would you say that John has a comparative advantage in writing reports, in making presentations, or in both? What should John specialize in? Does Jennifer have a comparative advantage in either task? What should she specialize in? What happens if, during a given year, you spend more money than you take in? What happens if you finance your overspending by running up your credit-card balance to some outrageous limit? Would you have trouble borrowing in the future? Would you have to pay higher interest rates? How would you get out of debt? Define the term trade deficit and explain how the United States ended up with such a large one. Is the trade deficit a good or a bad thing? Why, or why not? Define the term balance of payments and explain whether the United States has a favorable or unfavorable balance of payments. What will be the consequences if the United States repeatedly runs up a negative balance of payments?